Check out this custom finish by KC Restoration. We created this unique gunmetal gray finish for cold rolled steel fabricated by Gieske Metal Fabricators and installed by Midwest Elevators on elevator cabs and exteriors in two buildings at Park Central Plaza. Personalizing finishes and patinas to any project is one of KC Restoration’s specialties whether we are matching an existing patina or helping create a unique metal luster like this gunmetal gray finish. Cold roll steel evelvators fabricated by Gieske Metal Fabricators and installed by Midwest Elevators with our custom gun metal finish. KC Restoration, LLC has been busy with several custom projects this year. 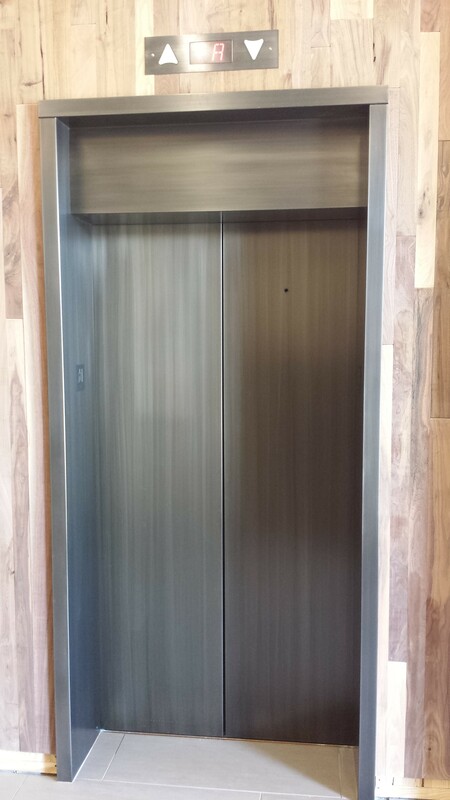 Here is a picture of a custom finish put on cold rolled steel fabricated by Gieske Metal Fabricators and installed by Midwest Elevators, both in Kansas City, MO. Cold rolled steel requires much care, as it can quickly rust. We were able to create this unique gunmetal gray finish on both the elevator cabs and exteriors that will be installed in two buildings at Park Central Plaza. They turned out beautifully. So you may wonder what’s so special about cold rolled steel? Here’s the answer from ask.com: Cold rolled steel is a mill product produced from a hot-rolled pickled coil that has experienced substantial cold reduction at room temperature. The usual end product is characterized by improved surface, greater uniformity in thickness, and improved mechanical properties as compared with hot-rolled sheet. This occurs when the metal’s below its re-crystallization temperature, which increases the strength via strain hardening up to 20%. What’s so special about these cold rolled steel elevators? No one else has them in Kansas City. KC Restoration is proud to help create original, one-of-a-kind features that enhance the Kansas City architectural landscape. Next time you’re downtown,visit Park Central Plaza and take a look yourself.